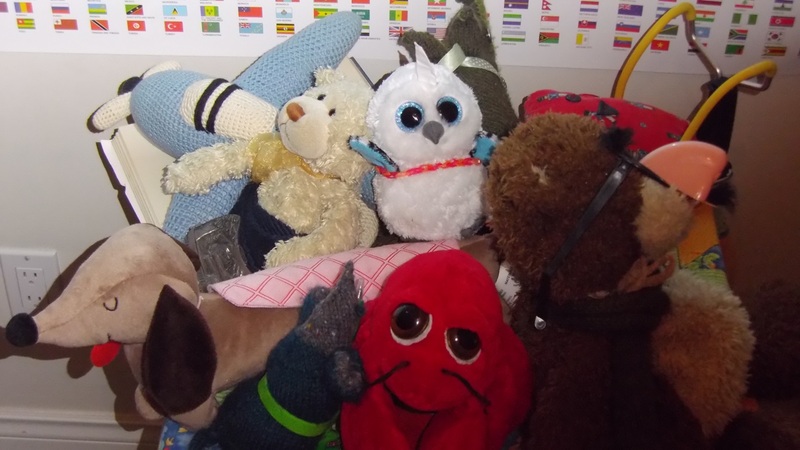 Did you see the unicorn owl in amongst all the stuffies? Our children decided to treat us to a costume dance party tonight, complete with flashlight lighting and music recorded off the stereo on my daughter’s LeapPad. We’ve decided we need a family dance party every Sunday night before heading back to school. Will you do the same at your house? Next Post Knitting in the round – is that how you make socks?